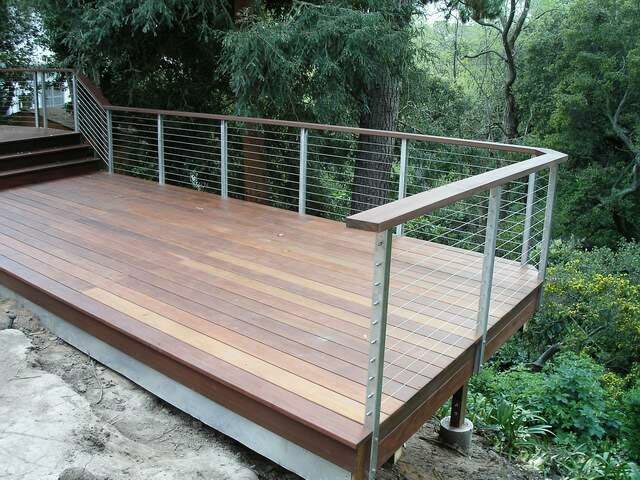 Cable railing shown with stainless side mounted posts and wooden top rail. 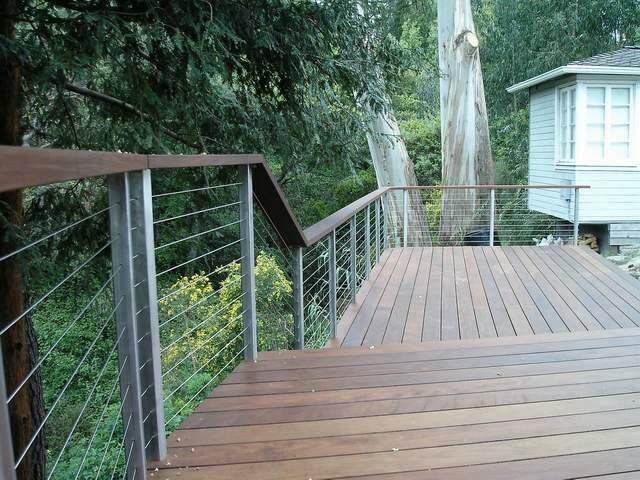 A cable railing consisting of stainless posts and Ipe (Ironwood) top rail. 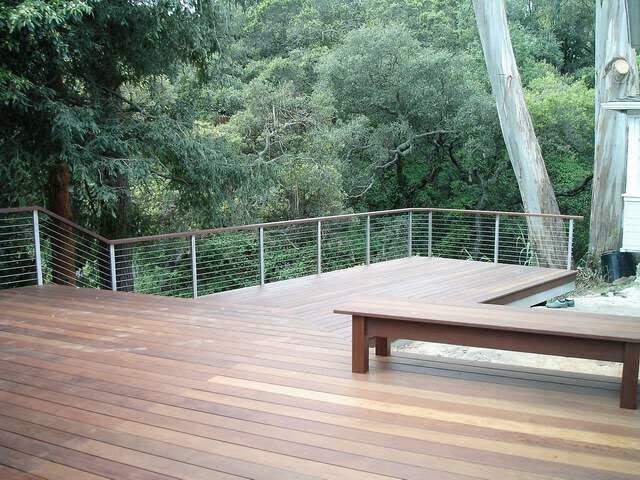 Note the clean lines, the color, and the smooth run of cable for the entire length of the railing. The cable goes around one, 90 degree corner up the stairs and around another slight angle change. This was done from simple drawings of the deck by the home owner and we designed the layout of the railing system ending in what you see here. This is a kit consisting of posts and cable supplied by us with the end user supplying the wooden top rail from local sources. The stainless posts are buffed to a light frosted color and chemically dipped to enhance the finish condition. The color creates a very neutral finish and allows the wood trim and surrounding materials to really stand out.